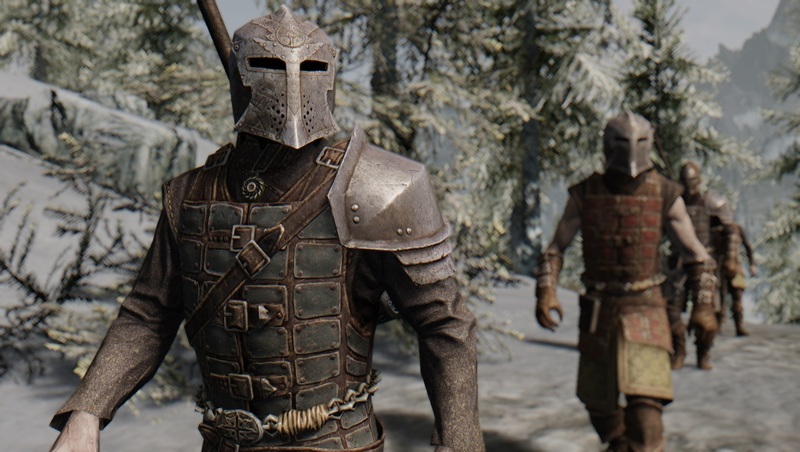 You are most well known for your Skyrim mod Immersive Patrols which has been downloaded by hundreds of thousands of users. How would you describe what the mod is and does in your own words? It's a simple mod that uses the basic AI packages in the Creation Kit to create open world activity, specifically military activity. What was your inspiration for Immersive Patrols and what made you want to create and share it on Nexus Mods? 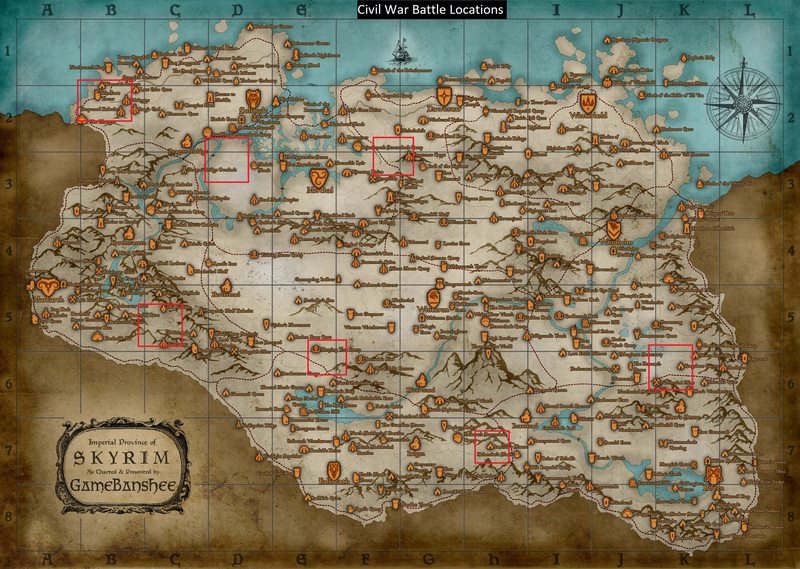 Every town, city and village mentioned the ongoing Civil War but unless you did Civil War related quests it was hard to tell. Like most mods I create, I made it for personal use but unlike most mods I upload, I uploaded Immersive Patrols very early in its life. I could tell the mod's scope and simplicity would make updating it as it grew manageable. Do you have a certain philosophy when it comes to creating mods? What are the things you pay attention to the most? Simplicity and longevity, but mostly simplicity. Reaching a goal in the most self-contained manner is always my goal. How did you first get introduced to modding and how did you go about developing the skills to pull off a mod like Immersive Patrols? I can't quite remember where exactly I started. If a game had a map editor or any kind of tool to change it I'd spend more time there than playing. I've always been unreasonably fascinated by the technology and techniques that are involved in creating video games so the motivation was always there. Once my country had tolerable internet, I'd say around 2004, I quickly learned the basics of Animation, Rigging, 3D modelling and C++ from free online resources and started creating small mods and eventually games in UDK for fun (shoutouts to geodav). That being said, Immersive Patrols is a very simple mod. It only took a day of tinkering with the AI Package system to make the "skeleton" for the mod. Are there things you wish you would have been able to pull off, but which were not possible either due to engine limitations or because you simply did not know how to do it? Not particularly. For a while I didn't know how I'd go about disabling/enabling patrols based on questline progression without scripting but while using enable/disable parents to get rid of vanilla lights and add shadowed lights to Hearthfire homes without dirty edits, it clicked that I could do the same with the objects enabled and disabled during the reconstruction of Fort Dawnguard and destruction/existence of Civil War Camps during their respective questlines. What are some of the games you grew up with? I played a lot, A LOT of video games as a kid but the ones that stand out are from the N64 era onward. Majora's Mask, Monster Hunter Freedom Unite, Shadow of The Colossus, Danganronpa 1 and Demons Souls captivated me the most without a doubt. Shadow of the Colossus, in particular, had a massive impact on me as a person. It taught a young me how to appreciate beauty in things I would otherwise take for granted. It's hard to describe but when I try to remember Shadow of The Colossus, I don't remember a game but everything between. I see the landscapes, colossi, architecture, Wander, Agro. I can hear their footsteps and the wind. I feel a calm presence. Something dear to my heart. Have you ever tried your hand modding other games? I have! I've made mods for everything from Pokemon games to risque Japanese Imports, haha. As long as I start playing something or a character creator catches my eye, I'll start tinkering if I've got the time. Do you have any hobbies or interests outside of modding and/or gaming? I do! I practice line art, digital art, game design and natural bodybuilding. What advice would you give people interested in becoming a mod author? Think about something YOU want. What do YOU want in YOUR game? It doesn't matter how outlandish it is, just start reading and working towards it and you'll eventually make SOMETHING. Sure it most likely won't be what you set out to make but I guarantee you, if you're even mildly satisfied with the end result, someone out there will love it. This was genuinely fun. Thanks for interviewing me and thank you Nexus community for being consistently mature and inviting all these years! A big thank you to Scrabbulor for answering our questions. As always, if there's an author or mod project you'd like to know more about, send your suggestions to BigBizkit or Pickysaurus. It would be great to unite this mod with "HOP - Horses on patrol" !!! Love these interviews! Ameer sounds like a nice guy! My first-mod-ever in the skyrim! 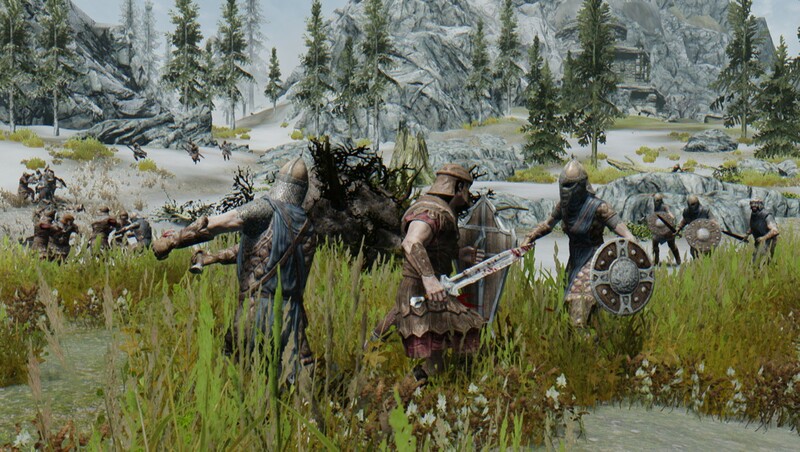 This mod makes fast travel feel empty because you never know you'll meet bandit or even imperial fighting stormcloak while you enjoy the scenery along journey. Immersive Patrols singlehandedly made me care about the Stormcloak v Imperial conflict. Such a small but hugely effective change made by this mod. I second Scrabbulor's thanks to the Nexus community, and to the site itself, for always being mature and courteous in all its dealings. It's so nice to have a place on the internet to go where you can find like-minded individuals who care about the things you care about and are very talented to boot. Yeah Scrabbulor's Immersive Patrols have almost always been in my load order, I love that mod. So thank you Scrabbulor for this amazing but yet simple mod! Immersive Patrols inspired me to make my Horses On Patrol mods. Much thanks for a great mod. Indeed, Immersive Patrols is one of those essential mods that give life to the game. It also amazes me the different backgrounds of modders, I always think of them like professional or students in some computational science or programming, but most are just people who found a way to express themselves and do it superbly.